Nigerians go to the polls on Saturday to choose their next president in an election some Christian observers call a "matter of life and death," as ongoing violence prompts activists to call for the appointment of a U.S. special envoy to the country. One fourth of the nation's 36 states have been devastated by radical Muslim attacks that have claimed up to 37,000 lives during the last 10 years, according to the Council on Foreign Relations. 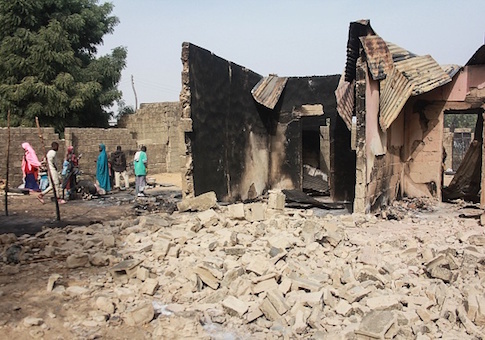 Terrorists belonging to the ISIS-affiliated Boko Haram insurgency in the northeast or radical Muslim militants of the Fulani tribes, who are attacking towns and cities in Nigeria's northwestern states, make up slightly more than half of the dead. The rest are innocent victims and Nigerian soldiers and police. Close to two million Nigerians have sought shelter in refugee camps. Unknown gunmen killed 66 persons on the eve of presidential and parliamentary elections, according to Vanguard News Nigeria. The West African nation is sliding toward becoming a new Islamic Republic, said Dr. Oluwasayo Ajiboye, who was raised in Nigeria and now teaches at a Christian seminary in Texas. Ajiboye returned from Nigeria Feb. 10 after 13 days in the country's seven northern states, where he interviewed hundreds of victims in 10 cities. For Christians, "this election is a matter of life and death," Ajiboye said. The choice for voters Saturday is between two Muslims, both with roots in the Fulani herdsmen ethnic group.